We are delighted to welcome Scotia Boelee as Programme Manager for the Moana Project. 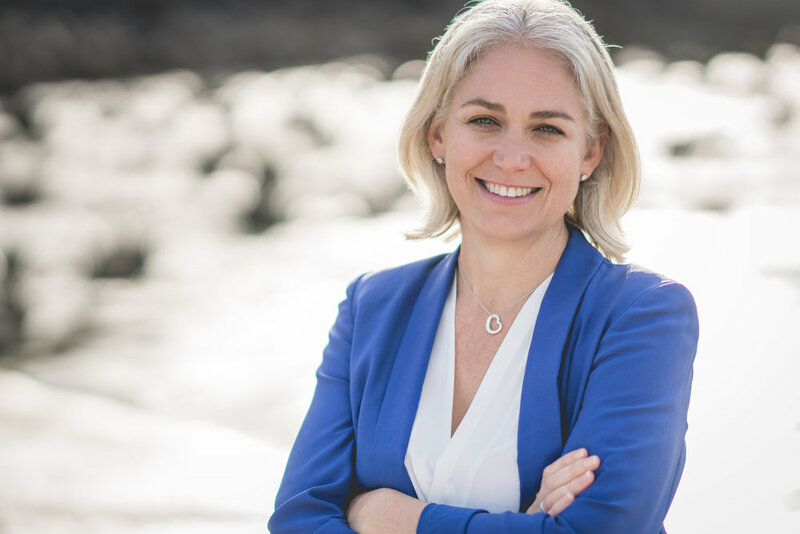 With a science background and vast experience in commercial negotiations and project management at an executive level, Scotia will assist Prof. Moninya Roughan in establishing the Moana Project’s framework and structure to ensure the success of the project. The Moana Project, led by MetOcean Solutions, was awarded $11.5 million over five years from the Government’s Endeavour Fund and will shed new light on the performance of New Zealand’s oceans to support an enduring seafood sector (find more information here). New Zealand is currently experiencing a marine heatwave with potential to affect the distribution and abundance of marine life (see more at Stuff’s news). The Moana Project will greatly advance our understanding of ocean circulation, marine population connectivity of kaimoana species and marine heatwaves, investigating the drivers and impacts of marine heatwaves to improve prediction. General Manager of MetOcean Solutions Dr Brett Beamsley says the Moana Project, led by Prof. Moninya Roughan, is a cross-institutional programme involving all the oceanographic research organisations in New Zealand, in collaboration with international experts from Australia and the United States. Scotia is an executive-level programme management and business case specialist with 26 years’ global experience. She has successfully influenced world-scale ventures and government organisations to think strategically and maximise both their commercial and research and development opportunities, whilst effectively mitigating and managing their HSSEQ and enterprise risk. Following her MSc in Chemistry at University of Canterbury, Scotia completed an MSc in Gender at the London School of Economics and Political Science in 2003. “I am excited to be involved in a project as worthwhile as Moana,” she says. Scotia is based in our New Plymouth office. We are delighted to welcome Dr Mariana Cussioli to MetOcean Solutions. Mariana is an oceanographer, specialising in coastal environments. She will be joining our marine project consultancy team, based in Raglan. “Each of our scientists have their own scientific specialty and work interest. We continuously aim to diversify our overall team expertise whilst maintaining a strong coastal and ocean numerical modelling capability,” says MetOcean Solutions’ Marine Project Consultancy Manager Dr Alexis Berthot. Following a MSc in Geological Oceanography at University of Sao Paulo, Brazil, Mariana recently completed her PhD in Coastal Oceanography at the University of Waikato, New Zealand. Her research was focused on dredge plume dynamics in ports and harbours to guide improvements in predictive models and the planning of dredging operations. With expertise on hydrodynamics and sediment transport modelling, Mariana’s research interests concern the ecological effects of turbidity variations, wave modelling in estuarine areas and effects of waves and river discharge on coastal morphodynamics. We are very pleased to welcome Oscar Key to MetOcean Solutions. Oscar is a senior scientific developer and is part of our services and development team in Raglan. In his role, he will work on improving backend Application Programming Interface (API) capabilities at MetOcean Solutions. With nearly ten years’ experience in a wide variety of fields, including yacht tracking, medical imaging and analysing financial data, Oscar is an exceptional programmer used to writing code under tight performance constraints. Following a BSc (Honours I) in Computer Science at Otago University, Oscar has developed machine learning systems for large data search indices, as well as many APIs in C, C++, and Python. Along with the APIs themselves, he’s handled deployment and regression testing with Docker, Vagrant, and similar tools. His experience also involves embedded programming, protocol implementation, high-performance image processing, bytecode disassembly and reverse engineering, as well as GUI development. A new research project spearheaded by MetService’s oceanography division, MetOcean Solutions will shed new light on the performance of New Zealand’s oceans to support the seafood sector. The Moana Project was today awarded $11.5 million over five years from the Government’s Endeavour Fund. MetService Chief Executive Officer Peter Lennox says the grant is an endorsement of the capability and expertise that exists within MetService, and the contribution the State-owned enterprise is continuing to make in advancing the knowledge of New Zealand industry and communities. General Manager MetOcean Solutions Dr Brett Beamsley says there is a significant lack of knowledge about our marine environment despite the ocean providing vital social, cultural, economic and environmental benefits for New Zealanders. “As a marine nation, New Zealand derives wealth and wellbeing from the ocean and yet, our oceans are very poorly understood. “Our seafood sector alone is worth $4.18b annually to New Zealand’s economy and its resources are directly threatened by rising ocean temperatures and marine heatwaves. “To safeguard these benefits for future generations we need to understand how our marine environment works so we can better manage our resources in a time of rapid ocean warming. 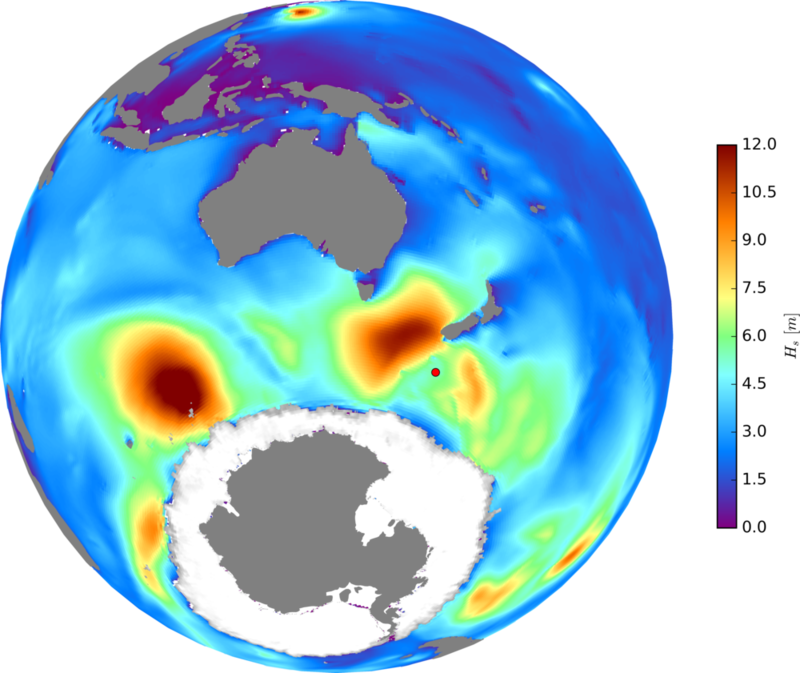 The proposal was led by MetOcean Solutions’ Chief Scientist Professor Moninya Roughan who says: “The Tasman Sea is warming at one of the fastest rates on Earth, four times the global average, yet we currently have limited ability to comprehensively measure, monitor and predict the state of New Zealand’s oceans. “Our marine industries are operating in the dark but through the Moana Project, all that will change. The Moana Project is a cross-institutional programme involving all the oceanographic research organisations in New Zealand, collaborating with international experts and supported by a wide range of end-users in industry and government. Professor Roughan says: “We are partnering with the seafood sector to develop a low-cost ocean sensor that will revolutionise ocean data collection. The sensors will be deployed throughout New Zealand’s exclusive economic zone with support from the commercial fishing sector. Research organisations involved include MetOcean Solutions, the Cawthron Institute, NIWA, and Victoria University of Wellington, Auckland, Waikato, and Otago Universities. The team will collaborate with international experts from Australia (the University of New South Wales), and the United States. In addition, the Moana Project has support from technology partners (including ZebraTech) and a wide range of ocean-information end-users, including the New Zealand Defence Technology Agency, the NZ Seafood sector (including Seafood NZ, Paua Industry Council, Deepwater Group, NZ Rock Lobster Industry Council, Terra Moana), the Ministry for Primary Industries and Regional Councils. MetOcean Solutions was fully acquired by State-owned Enterprise MetService in September 2017. For more information, contact Deborah Gray, Communications Manager at deborah.gray@metservice.com or by calling +64 027 3700 700. The seafood sector brings $4.18B to New Zealand annually. The resources that the sector depends on are threatened by increasing ocean temperatures. Thermal stress is one of the greatest threats to aquaculture and above average ocean temperatures are also impacting deepwater fisheries (e.g. Hoki). New Zealand has recently experienced its worst marine heatwave on record, yet nothing about these events is known. This project will vastly improve understanding of coastal ocean circulation, connectivity and marine heatwaves to provide information that will support sustainable growth of the seafood industry (Māori, fisheries and aquaculture). Project partners will apply the internet of things concept to develop a low-cost ocean temperature profiler that will be deployed by the fishing communities ‘on all boats, at all times’. New Zealand’s first open-access ocean forecast system will be delivered by developing new ocean circulation models using a combination of advanced numerics, modern genomics and data from our smart ocean sensors. The project will investigate the drivers and impacts of marine heatwaves so that they can be predicted, and investigate ocean transport pathways and population connectivity of kaimoana species. This project will provide a step-change in the oceanic information available to the seafood sector and the broader community, accessible through the open-access user-friendly datasets and tools developed. This information will help the New Zealand seafood sector retain its competitive edge in a rapidly changing ocean impacted by marine temperature extremes and shifting currents. Project partners will build bridges to ensure this new knowledge informs regional marine policy and management. This project is anchored in mātauranga Māori through the partners’ relationship with Whakatōhea, facilitating exchange of oceanographic knowledge between Te Ao Māori and western science and serve as an exemplar for other coastal iwi. MetService is New Zealand’s National Meteorological Service. MetOcean Solutions was fully acquired by State-owned Enterprise MetService in September 2017. MetOcean Solutions has appointed Dr Alexis Berthot as its new Marine Project Consultancy Manager. In this role, Alexis will manage high value scientific consultancy services, leading a team of expert scientists with vast oceanography experience. Over the last year Alexis has been representing MetOcean Solutions in Australia, looking after the company's Australian clients and providing technical leadership to a wide range of coastal and maritime engineering projects. Originally from France and passionate about the ocean, Alexis’ academic and professional background is in physical oceanography and coastal science. Following an MSc in Marine Environmental Sciences from the University of Marseille, France, he completed a PhD in Physical Oceanography at the University of Western Australia. He has worked in coastal and ocean research and engineering consultancy for more than 15 years, as a principal numerical modeller, technical lead or project director. Alexis can be reached at a.berthot@metocean.co.nz. For more information on MetOcean Solutions’ scientific consultancy services, contact us at enquiries@metocean.co.nz. MetOcean Solutions has been announced as a finalist in the 2018 New Zealand Open Source Awards. The nomination is for the company’s open source library for processing ocean wave data, released earlier this year (more information here). A sea state can be thought of as the combination of many different wave components, each of which with its own frequency and direction. The ocean wave spectrum (bottom panel) describes the relative amount of energy in each of these different wave components. Wavespectra allows easily converting multiple spectra into known statistical wave parameters such as significant wave height (top panel). The Open Source Awards recognises outstanding work done with free and open source software and the artistic, scientific and social outcomes it delivers in New Zealand. The 2018 awards will look at the successes over the last two years. MetOcean Solutions’ Wavespectra library is one of four finalists in the ‘Open Source use in Science’ category. Senior Physical Oceanographer Dr Rafael Guedes says Wavespectra is a library for dealing with multi-dimensional ocean wave spectra data with the code focused on speed and efficiency for large spectral datasets, and is of value to scientists, students and consultants. 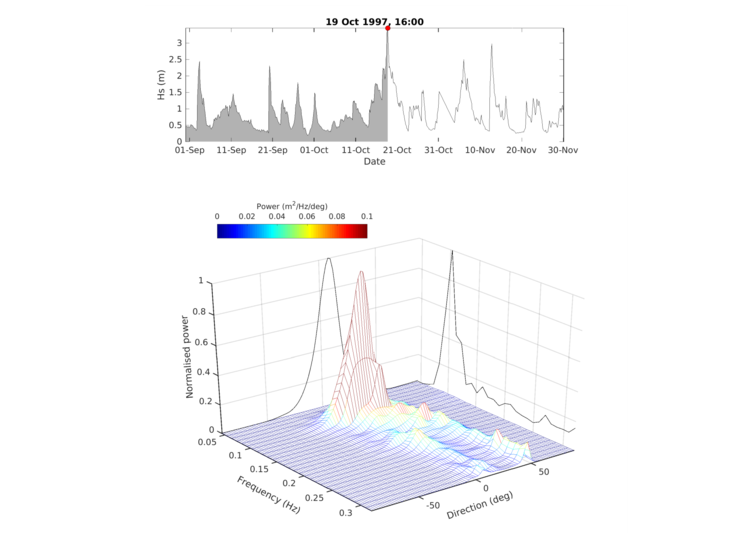 For more information about MetOcean Solutions’ Wavespectra, the documentation is available at wavespectra.readthedocs.io/en/docs/ and the GitHub repository at github.com/metocean/wavespectra. The winners of the 2018 New Zealand Open Source Awards will be announced on 23rd October 2018. Read more about the nomination on the New Zealand Open Source Awards website. MetOcean Solutions is a division of state-owned enterprise, Meteorological Service of New Zealand (MetService). MetService is New Zealand’s national weather authority, providing comprehensive weather information services, to help protect the safety and well-being of New Zealanders and the economy. We are delighted to welcome Dr João Marcos Souza to MetOcean Solutions. João is a physical oceanographer with vast experience in hydrodynamic ocean modelling, and will be leading the ocean modelling component of the Moana Project, based in our Raglan Office. With more than 15 years of experience, his expertise is in interdisciplinary ocean processes and data assimilative hydrodynamic simulations. In his most recent research position, João was the principal investigator on several projects, including the development of an ocean reanalysis using the ROMS model with 4-dimensional variational data assimilation to investigate predictability of ocean forecast systems, analysis of deep circulation in the Gulf of Mexico using a combination of observations and model results, and range of nearshore circulation studies coupling hydrodynamic and wave models. Following his PhD in Ocean Engineering at Rio de Janeiro Federal University, Brazil, in 2008, João completed postdoctoral internships at the French Research Institute for the Exploitation of the Sea - IFREMER in 2011 and the University of Hawaii in 2014. Complementing his science role, he has mentored undergraduate and graduate students and postdoctoral researchers in physical oceanography. His most recent projects include the use of lagrangian analysis methods with biogeochemical and ocean circulation modelling. We are delighted to welcome Dr Henrique Rapizo to MetOcean Solutions. Henrique is a physical oceanographer and will be working in our science team in Raglan. As a wave modelling expert, he will be providing support to operational and consultancy projects at MetOcean Solutions. Following an MSc in Ocean and Coastal Engineering at Rio de Janeiro Federal University, Brazil, Henrique has completed last year his PhD in Maritime Engineering and Physical Oceanography at Swinburne University of Technology, Australia. His research was focused on interactions between wind-generated ocean waves with currents, including theoretical, observational and numerical approaches. With a specialisation on wave-current interactions, Henrique`s research interests are also on coastal processes and dynamics, air-sea interactions, wave-ocean numerical coupling and data analysis. The UK Ministry of Defence recently purchased an operational license for SurfZoneView, the New Zealand Navy software tool to support amphibious operations and beach landings. Designed by MetOcean Solutions in partnership with the New Zealand Defence Force, SurfZoneView is based on the state-of-the-art XBeach numerical model. By resolving the main processes in this complex environment, the software clearly maps out the nearshore conditions and includes risk management tools to assist operational decision making. The UK purchase coincides with the release of a new version of SurfZoneView. 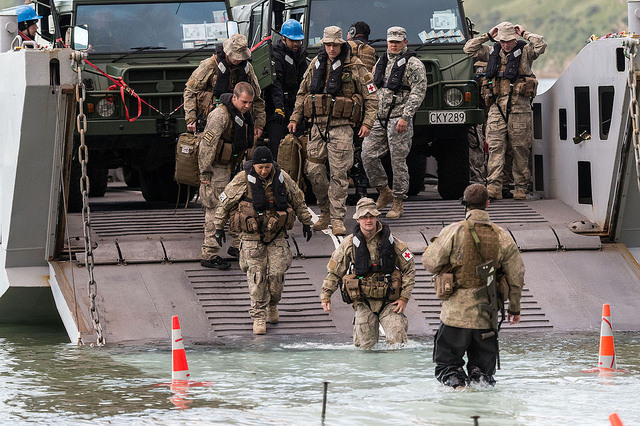 “We had important feedback from amphibious units in Italy, UK, Australia and New Zealand. The new release incorporates a range of features requested by users after real training exercises,” continues Andre. The tool clearly shows safe and unsafe zones for beach landings, and users can compare the relative safety of landing at different areas along a stretch of coastline, or at different times within a seven day forecast. Safety profiles allow users to test settings and examine how safety tolerances and vessel draughts alter the predictions. In 2016, MetOcean Solutions won the Minister of Defence Industry Awards of Excellence for the SurfZoneView software. The uptake of the software by UK is further recognition of the value that accurate modelling, presented in a user-friendly format, can offer naval personnel operating in nearshore areas. For more information on SurfZoneView, click here, or view the video for the 2016 award here. Contact us on enquiries@metocean.co.nz for a trial version or demonstration of SurfZoneView. MetOcean Solutions and the Coastal and Regional Oceanography Group in the School of Mathematics and Statistics at the University of New South Wales (UNSW) are partnering to ensure that marine industries will benefit from the latest ocean research along the southeast coast of Australia. The UNSW team developed a 23-year (1994-2016) hydrodynamic hindcast model using the 3D Regional Ocean Modeling System (ROMS). The model simulates ocean circulation at sufficient resolution (2.5-6 km) to characterise the hydrodynamics in the region. Results have been validated with quality, long-term oceanographic data, and were distributed through the Australian Integrated Marine Observing Program (NSW-IMOS). The MetOcean Solutions team use model output to generate statistics needed by clients for design purposes. In addition they have characterised the coastal marine environment at a number of locations along the coast of SE Australia, and are conducting research that will improve understanding of dynamical drivers of the coastal circulation. The data has also been used to provide boundary conditions to clients for further downscaling studies. 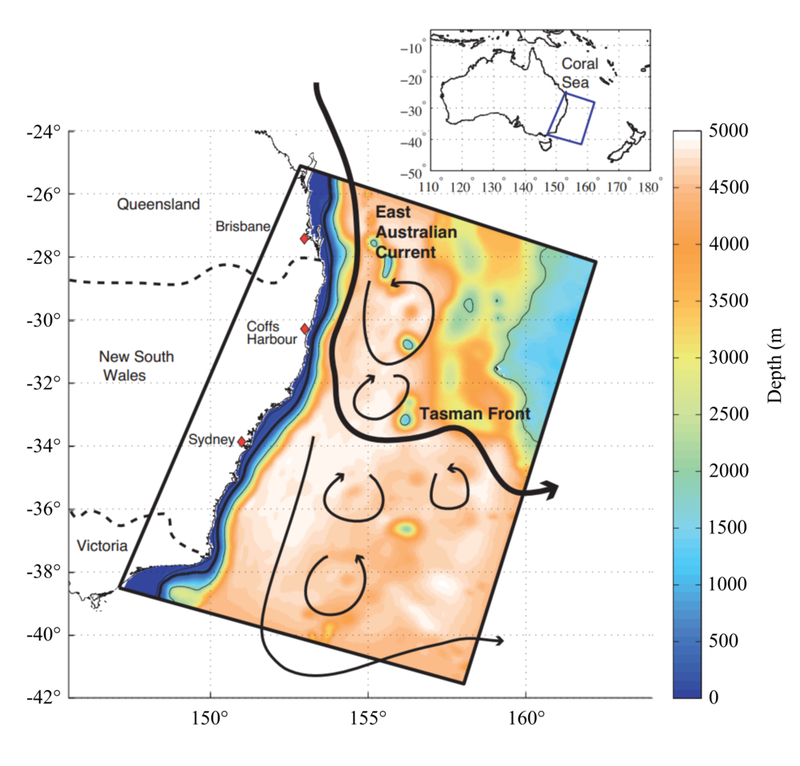 UNSW`s oceanography group has been studying the East Australian Current (EAC) for decades, collecting valuable in-situ data and developing a suite of high-resolution numerical ocean models for the region. The EAC is the Western Boundary Current of the South Pacific subtropical gyre that flows south along the east coast of Australia, dominating the coastal circulation from Brisbane to Tasmania. For further information about Australian oceanographic research and consultancy services, please contact Alexis Berthot in Sydney at a.berthot@metocean.co.nz. 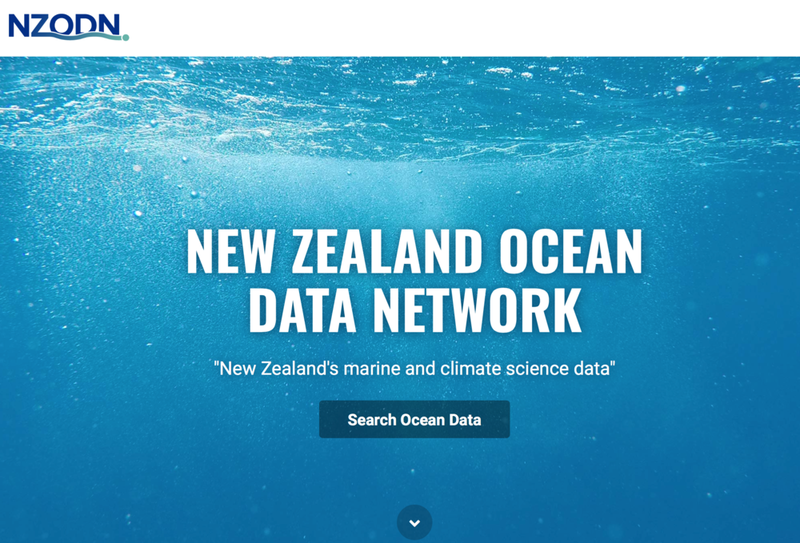 MetOcean Solutions is delighted to support the New Zealand Ocean Data Network (NZODN), a new initiative coordinated by the National Institute of Water and Atmospheric Research (NIWA) to make New Zealand ocean data discoverable and freely available to all. The NZODN is a national data platform that supports integrated access to marine and climate science data. NIWA has set up the NZODN as a node of the Australian Ocean Data Network (AODN) fully built on the services stack designed by the Australian Integrated Marine Observing System (IMOS). The NZODN website has been launched as a public New Zealand resource, a ‘sister site’ to the AODN portal. This platform will greatly enhance data discovery and provide access to all available marine data collected in the New Zealand ocean domain. MetOcean Solutions holds an extensive historical ocean database and is working towards quality control, formatting and documentation of these data so that they can be made publicly available through the NZODN infrastructure. Click here to access the datasets available at New Zealand Ocean Data Network or to find out more about how to contribute data. MetOcean Solutions will continue to operate as a separate trading entity, maintaining the strong R&D pedigree of the past decade and adhering to its core principles of scientific integrity and technical elegance along with the ethos of ‘collaboration for success’. MetOcean Solutions has received research funding for a project applying innovative technology to weather forecasting. The research, entitled ‘Machine learning for convective weather analysis and forecasting’, was funded in the Ministry of Business, Innovation and Employment (MBIE) 2017 Endeavour Round. Led by MetOcean Solutions, the project is a collaboration with the Knowledge, Engineering & Discovery Research Institute (KEDRI) of Auckland University of Technology, and the New Zealand MetService. “We are very pleased to receive funding for this exciting project,” states project lead Dr David Johnson. The research will use machine learning to predict convective weather events. Convective weather produces heavy rain, lightning and strong winds, significantly impacting the safety, efficiency and well-being of New Zealanders, and recent severe events have caused loss of life and extensive damage to property. “Convective weather is localised in time and space and can develop quite quickly and sometimes without much warning,” continues Dr Johnson. “These events are always associated with cloud masses - like big thunderstorm clouds - which can be seen from Earth-observing satellites. Currently, human forecasters detect these events by looking at satellite imagery, numerical model guidance, and rain radar. Trained forecasters are good at doing this, but humans cannot look everywhere all the time. Recent advances in machine learning mean that computers are now exceptionally good at identifying and labelling features in images. Our research will train a machine-learning algorithm to analyse satellite imagery, possibly combined with other inputs such as numerical model guidance or rain radar, and predict where and when heavy rain, lightning or wind squalls might occur. As this is a machine process it can potentially be fully automated and then used to send alerts on a phone app. “There is a good chance that the algorithm will be better than a human at consistently making the correct predictions, which means that all New Zealanders will benefit from better weather forecasts. An automated forecasting system also allows for greater customisation and localisation for individual needs. If successful, the research could lead to apps that makes it possible for you to request a phone alert if heavy rain is likely at your location - your phone already knows where you are - allowing you to take in your washing, seek shelter or postpone your drive home. Many industries are weather-dependent, and accurate local forecasts of strong winds or heavy rainfall will help anyone working or organising events outdoors, including the forestry, fisheries, construction and transport industries, all of whom have different weather thresholds to ensure safety and efficiency. Human forecasters could never manage to serve all the myriad of end-user needs at different locations and times. MBIE's 2017 Endeavour Round funded 68 new scientific research projects from 408 applications. Click here for the MBIE press release on the funding. This week we welcome Aitana Forcén-Vázquez, our new Technical Support Liaison. 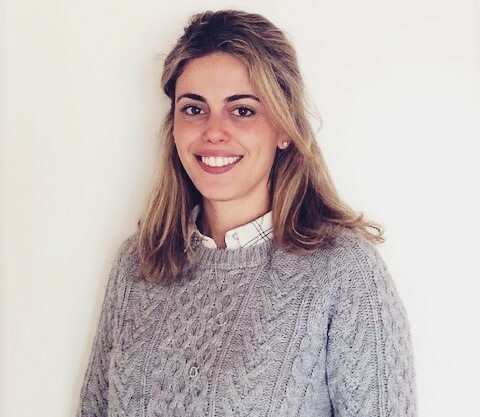 Originally from Spain, Aitana has a PhD in physical oceanography from Victoria University, and recently completed Postdoctoral research in Southern Ocean dynamics at NIWA in Wellington. In her new role, Aitana will be providing technical support to our marine forecast clients throughout New Zealand and worldwide. Aitana is based in our Raglan Office. We are very pleased to welcome Dr. Alexis Berthot, who will be representing MetOcean Solutions in Australia. Based in Sydney, Alexis's main focus will be looking after the company's Australian clients and providing solutions tailored to the local environment and requirements. Alexis’s academic and professional background is in physical oceanography and coastal science. Following an MSc in Marine Environmental Sciences from the University of Marseille, France, he completed a PhD in Physical Oceanography at the University of Western Australia. He has worked in coastal and ocean research and engineering consulting for over 15 years, as a principal numerical modeller, technical lead or project director. From his involvement with a wide range of coastal and maritime engineering projects, Alexis has gained extensive experience in hydrodynamic, wave, sediment transport and water quality modelling. Alexis can be reached at a.berthot@metocean.co.nz or by calling +61 422 369 314. The buoy will provide essential data about waves in the rarely studied Southern Ocean. Plot shows wave height in metres; the red dot marks the wave buoy location. In collaboration with MetOcean Solutions, the New Zealand Defence Force yesterday launched a moored wave buoy about 11 km south of Campbell Island. The site is the southernmost location that a wave buoy has ever been moored in the world. wave height and wave direction. "We are very pleased about our research partnership with the Defence," says oceanographer Dr Peter McComb who led the deployment on OTAGO. "The Southern Ocean is an incredible engine for wave energy generation due to the persistent westerly winds and the expansive ocean fetch. This makes it a difficult region to work in, but we were fortunate with a period of relatively good weather to launch the buoy. The data will be of international significance and the wave research community will benefit from open access to the measurements." Dr Tom Durrant, the manager of MetOcean Solutions' wave modelling, says that the buoy will provide invaluable data for an area which remains poorly studied. "Due to the harsh ocean environment and remote location, the Southern Ocean is the least observed of any ocean body," he explains. "The wave buoy data will aid our understanding of waves in extreme conditions, and provide measurements against which we can validate and improve our global wave models. To help the deployment we provided detailed forecasts, and we are relieved that the conditions were calm enough to launch the buoy." We are delighted to welcome Moninya Roughan as Chief Scientist at MetOcean Solutions. Moninya is currently Associate Professor and Group Leader of the Coastal and Regional Oceanography Lab at the University of New South Wales. She will transition to the Chief Scientist role over the next 6 months, and focus on science leadership at MetOcean Solutions. Moninya will retain strong linkages with UNSW in the School of Mathematics and Statistics. As a physical oceanographer specialising in coastal and shelf processes, her research focuses on improving dynamical understanding of coastal ocean circulation. She has substantial experience using a combination of ocean observations and numerical models, and has authored over 50 publications including peer-reviewed journal papers, book chapters, international conference papers, consultancy and technical reports. Moninya gained her PhD in Physical Oceanography from UNSW Australia (2002), and spent 4 years at Scripps Institution of Oceanography as a postdoctoral scholar (2002-2006). Over the past 10 years, she has led the design, deployment and ongoing development of one of the most comprehensive ocean observing systems in the southern hemisphere. Focussed on the East Australian Current, which flows downstream to New Zealand, Moninya and her IMOS team have deployed a network of moorings, HF radar, autonomous ocean gliders and floats along the coast of southeastern Australia to investigate the impact of the current on the continental shelf circulation along Australia’s most populous coastline. At UNSW, Prof Roughan leads a team of PhD students, postdocs and field technicians doing active research. Together they successfully completed over 100 mooring deployments and more than 20 autonomous glider missions. She has conducted fieldwork from Antarctica to Torres Strait, spending more than 100 days at sea on large and small research vessels. "The New Zealand ocean science community will benefit greatly from the wealth of knowledge and experience that Moninya brings," says Dr Peter McComb, the Managing Director of MetOcean Solutions. “We look forward to an exciting new chapter for operational oceanography in the South Pacific." New Zealand Defence Force during training operations. Defence Minister Gerry Brownlee has announced MetOcean Solutions a winner of the annual Minister of Defence Industry Awards of Excellence for 2016. The company won the 'Provision of a product to Defence for less than $15 million' category for the SurfZoneView software. SurfZoneView is a tool designed to assist amphibious landings by modelling and visualising surf conditions. "We are very proud to receive the award," says Technical Director Dr David Johnson. "The creation of SurfZoneView was an excellent collaborative project in which we worked together with the New Zealand Defence Technology Agency to take their concept from vision to reality. It is a great example of applying leading edge oceanographic science to solve real-world problems. We are very happy to have created something that will help keep the Royal New Zealand Navy personnel safe." MetOcean Solutions is now making the tool commercially available to navies, civil defence agencies and coast guards around the world. "The safe transfer of equipment and personnel from sea onto land is fraught with difficulty for any agency operating in the nearshore environment," adds Dr Johnson. "Beach landings are notoriously dangerous, but through modelling the wave and current conditions we can identify safe transects and landing spots. The user inputs the bathymetry of the area of interest and specifies the offshore wave conditions, and the tool does the rest. "MetOcean Solutions provided forecasts for the naval landings in Kaikoura in connection with evacuation of people following the earthquakes there." David believes that the success of the SurfZoneView was the result of good collaboration with the Defence Technology Agency. "Close relationships are critical to solve the key challenges facing New Zealand. We have a finite pool of people and resources to protect, manage and understand the vast ocean and extensive coastline of New Zealand. We have a collaborative project underway to deploy a wave buoy further south than ever done before. The involvement of the Defence Technology Agency and contribution of a New Zealand Defence Force vessel to do the deployment will be critical for the success of that project." Click here to watch our SurfZoneView video, and here for a PDF detailing the tool. Click here for the Ministry of Defence press release. Yesterday the Science and Innovation Minister Steven Joyce announced that the Centre for Space Science Technology (CSST) has been selected to become New Zealand’s second Regional Research Institute. The plans include a science and administration base in central Otago supported by regional science hubs around the country, including one in New Plymouth, where specific pieces of research will be done. As one of the founding partners for the initiative, MetOcean Solutions will be involved with New Plymouth's research hub, which will focus on remote sensing of the ocean and atmosphere. MetOcean Solutions is delighted with this outcome. "It represents a new way of using public science funding to actively promote enabling technologies and directly stimulate economic growth," says Managing Director Dr Peter McComb. data more effectively. That truly has the potential to transform our society. The other part of it will develop cube sat missions that are targeted toward NZ-specific applications, and they can be launched from NZ as well as elsewhere in the world. also promote a national space-based economy for the benefit of all regions in NZ. In New Plymouth, a team of CSST geospatial scientists will be co-located with the oceanographers at MetOcean Solutions, and there will be a close association with the Nelson-based Cawthron Institute.